Is your LEED status about to expire? For a small but growing number of buildings, the answer is Yes. LEED for Existing Buildings: Operations and Maintenance (LEED: EB O&M) requires recertification every five years. Nationwide, only 21 buildings have maintained their LEED status. 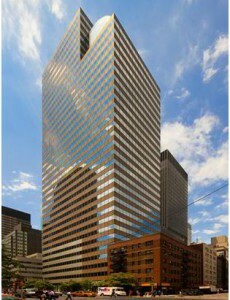 Paramount Group’s 900 Third Avenue is the latest building, and one of only three buildings in NYC to have achieved LEED recertification. Great Forest managed both the original certification and the recertification process for the building. Well, for most buildings, recertification will be easy because many of the processes are already in place. Your LEED team is already familiar with the system, data collection is already ongoing, and updates usually require only minimal work. However, there is one crucial difference to note. “The performance period required for recertification covers the entire length of time between certifications,” says Anna Dengler, director of sustainability at Great Forest. Paramount Group’s 900 Third Avenue did and they are enjoying the benefits in multiple ways. The threereasonsbuilding, which just missed LEED Silver certification in its initial application, bested its environmental performance, earning a LEED Gold this time around. Improvements were made in several areas including its ENERGY STAR rating, which went up 10 points to 88. LEED recertification is all about maintaining and improving performance so it is a vital part of every building’s sustainability plan. Recertify to keep your well-earned LEED Status. Don’t loose your investment in sustainability. Recertification is easy. Tools are already in place.